Yesterday’s flash floods — the result of 7 inches of rain in some parts of town — caused widespread disruption and damage. Roads turned into swirling rivers. Lakes suddenly appeared from nowhere. Some drivers turned around. Some tried carefully to get through. Others plowed right in. Iris Greenfield was not rash or hasty. Still, her car was completely submerged under the South Compo Road railroad bridge. She and 2 of her children were rescued through the window by Westport firefighters. Yep. He was a former patient. And her son recognized him by name. As of 7 this morning, Compo Road South at the railroad overpass was still closed due to flooding. Roseville Road at Salem Road was also closed.. 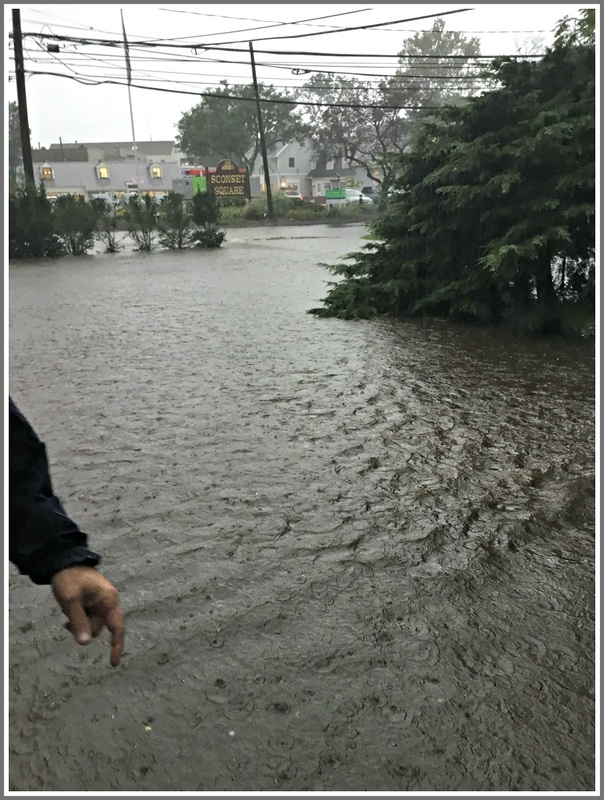 This entry was posted in Downtown, Weather and tagged Myrtle Avenue, Westport Fire Department, Westport flash floods. Bookmark the permalink. 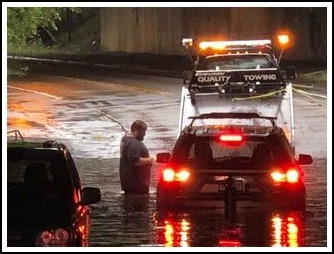 While our local first responders deserve their usual high praise for their quick, professional, and efficient response, I would like to give a shout out to the tow truck operators who merrily waded into the swirling cauldrons to remove trapped vehicles and keep the roads clear. It is remarkable who helps out in these situations. I’d like to give a shout out to Bob Cioffoletti of Plumbtrees Plumbing who drove down from Danbury at 8pm to wade through my flooded basement and install a new sump pump after mine gave out. Thanks to Bob and all the Bobs out there who answered the calls last night! Two stories in the same day. 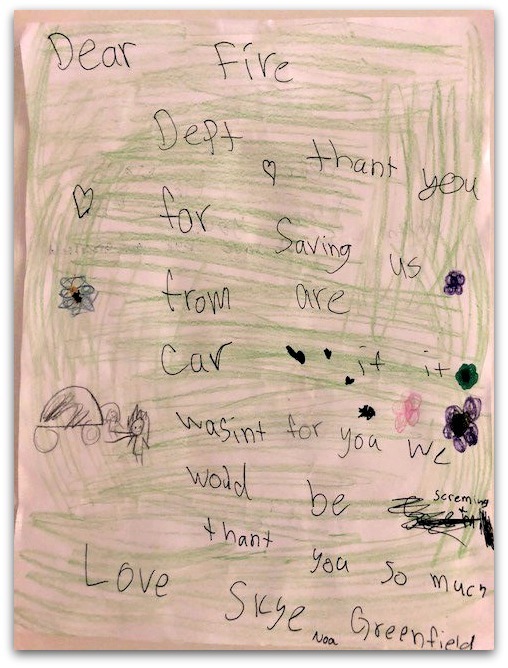 One about our police department and the patience they exhibited with Birthday celebrating little ones and the other about our fire department and their prompt and capable handling of flood emergencies. I just want to say how very much appreciated they are by this reader. We are all so lucky to have each and every one of them. Thank you from this very grateful resident.